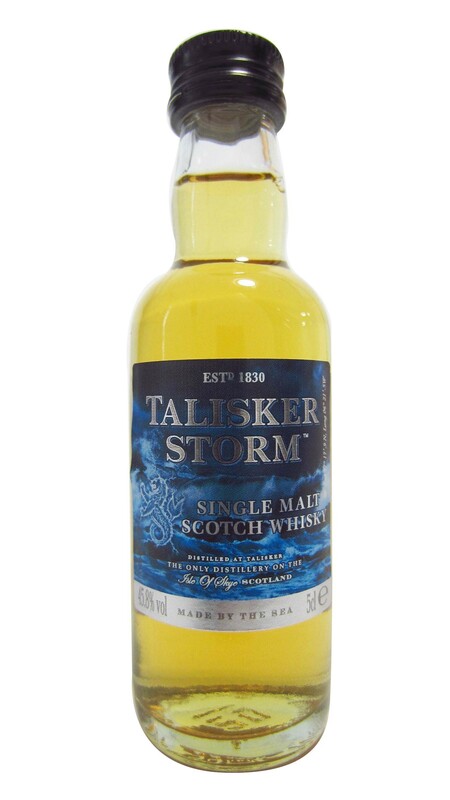 A no age whisky, the Talisker Storm takes this most intesnse of experiences to a new level. It offers up plenty of distillery character alongside some smokier depth and complexity. 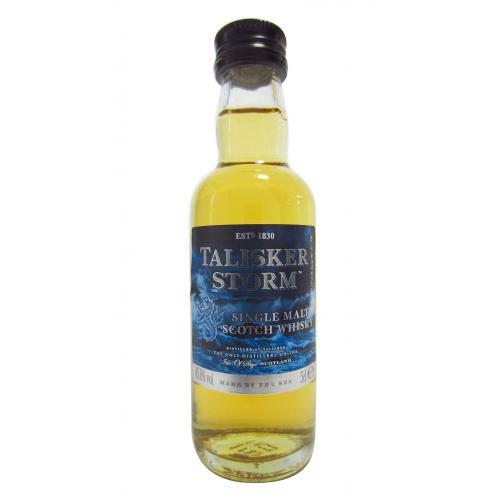 Talisker scotch has become firmly established as one of the top ten best selling single malts within the UK and a 5cl bottle of the stunning Skye, find out why! Nose: Initially brine, but not as abrupt as the 10 Year Old, and it in fact is quite creamy in comparison. Banana and angel delight with a hint of barbecue and citrus. White pepper then develops towards the bottom of the glass. Palate: Thick and mouth-coating with wood smoke, brine, and a kick of some chilli heat too. Finish: Red chilli peppers and the heat is again present along with oak dryness with a hint of embers.